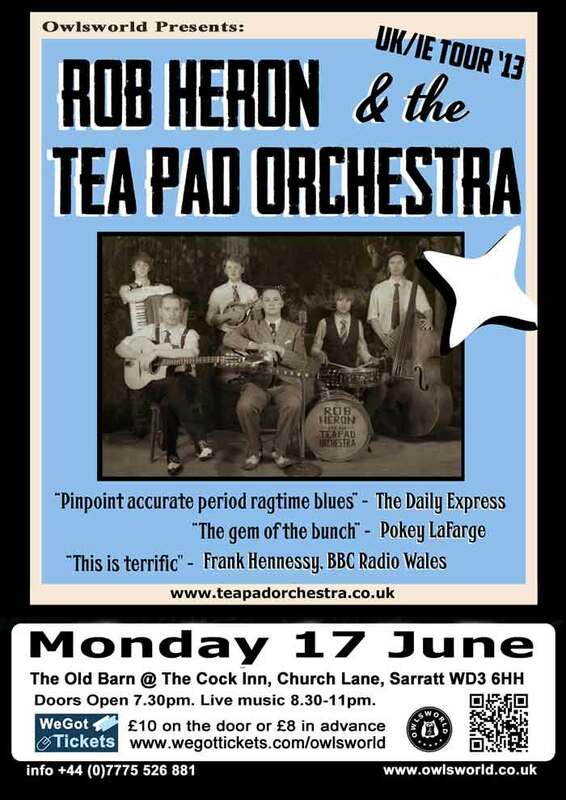 Rob Heron & The Tea Pad Orchestra are the ones to watch on the UK's growing Americana scene; as a six piece band (featuring guitars, mandolin, harmonica, accordion, double bass and drums) they play an eclectic mix of Western Swing, Gypsy Jazz, Hokum Blues, Ragtime, Cajun, and Country, all with similar themes of debauchery, disasters, drink and debt. With members from throughout the UK, including Cumbria, Warwickshire, Newcastle and Orkney, they formed in Newcastle Upon Tyne in 2010, and have recently self-released their debut album, "Money Isn't Everything", a follow up to their sell-out EP "Teepy Eepy". 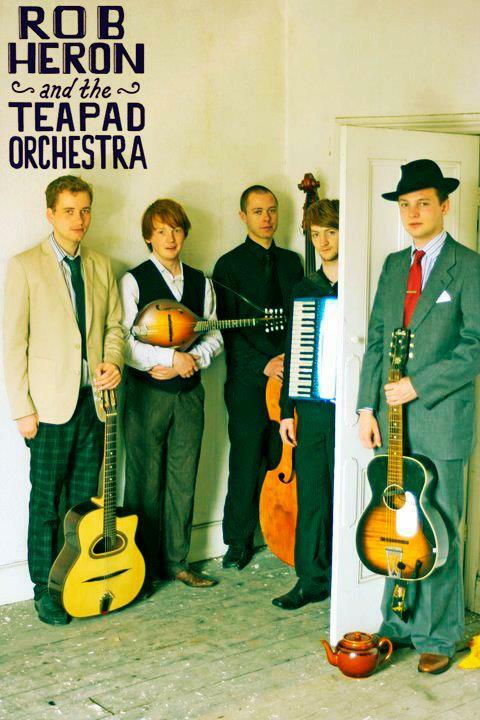 They have toured throughout the UK with American riverboat rag-time band, Pokey LaFarge & The South City Three, as well as playing national festivals such as Summertyne Americana Festival, Beatherder, Solfest and Cheltenham Literature Festival. With a set that comprises of original songs and old blues gems, they are sure to make your feet tap and your booty shake. They have shared stages with bands such as, Pokey LaFarge & The South City Three, The Water Tower Bucket Boys, The Sweetback Sisters, Martin Harley Band, Old Sledge (Feat. Chance McCoy of Old Crow Medicine Show), The Black Twig Pickers, and more. Paypal ticket links on website Zero % booking Fee.